On January 1st, Gary DeLashmutt and Dennis McCallum stepped back from their roles as Senior Elders of the Church. Both continue to lead and serve in new and exciting roles. 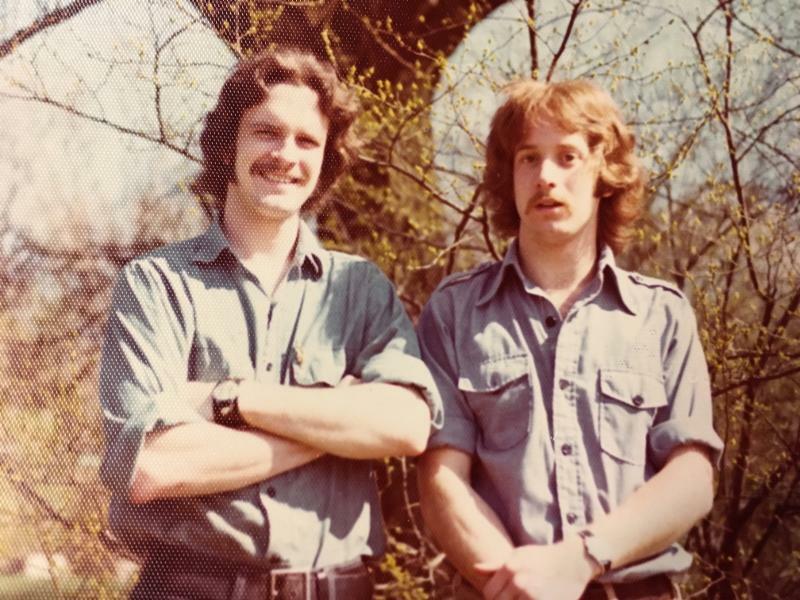 In the early 70's Dennis and Gary felt called to use their lives to help other people understand Christ's love better. Little did they know, God would take that decision and use it to influence thousands of people in Columbus and across the globe, through fifty years of loving service. Words are inadequate to express our gratitude for their many years of humble leadership! Ryan Lowery: "The most exceptional thing about both Dennis and Gary is their willingness and eagerness to be under God's authority. Their ministry, their accomplishments, and their spiritual fruit has never been about them, and no one believes that more or understands that better than they do. This is why Xenos has not fallen into the trap of being a man centered church. This is why God has been able to use them so powerfully in so many people's lives, and this is why they have been able to raise up so many other leaders around them. As God has honored them with fruitful ministry they have directed that honor right back to Him and He has been glorified." Conrad Hilario: "It's difficult to describe the impact Dennis has had on my life. He has been like a father to me, he's been my spiritual mentor, and he's one of my closest friends." Phil Franck: "To hang out with Gary even for a few minutes, usually translates into walking away with some fantastically usable nugget of spiritual wisdom. Gary's steadiness and insights have helped me so many times when ministry situations felt like rats' nests, to gain a principled way to untangle them." Josh Benadum: "Dennis and Gary shaped my theology, not by telling me what was right or wrong, but by insisting I go to the Bible myself and giving me the tools to interpret it." We've made an easy way for you to offer your congratulations and express your gratitude to Dennis and Gary. You can send them your thoughts at xenos.org/thank-you.